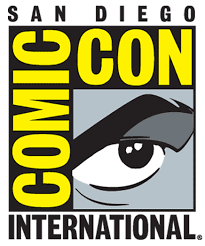 Yesterday was the, "Preview night," at San Diego Comic-Con/Comic-Con International which is when I think just industry professionals, accredited press, and the like can attend. As of today however anyone and everyone (who has a ticket, of course) can go enjoy the con. If you're at SDCC/CCI I hope you have fun. I'll probably have a variety of opinions to share next week after it wraps, the dust has settled, and everyone is still arguing about if, "Dooomsday Clock," looks like a fun and clever event from DC or is just a shameless insult to Alan Moore and the, "Watchmen," comics (maybe both).